A shiny PVC luggage tag with clear spaghetti loop strap. 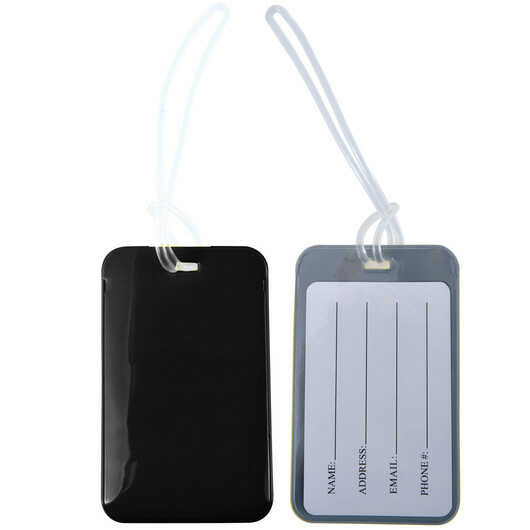 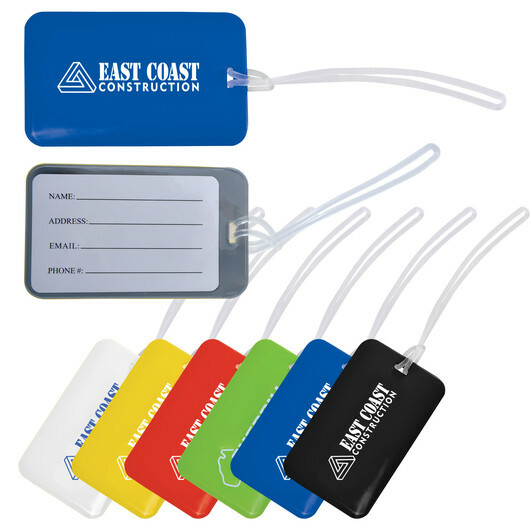 Perfect for travels, these PVC luggage tags have a clear spaghetti loop strap and a great space for your decorated branding. 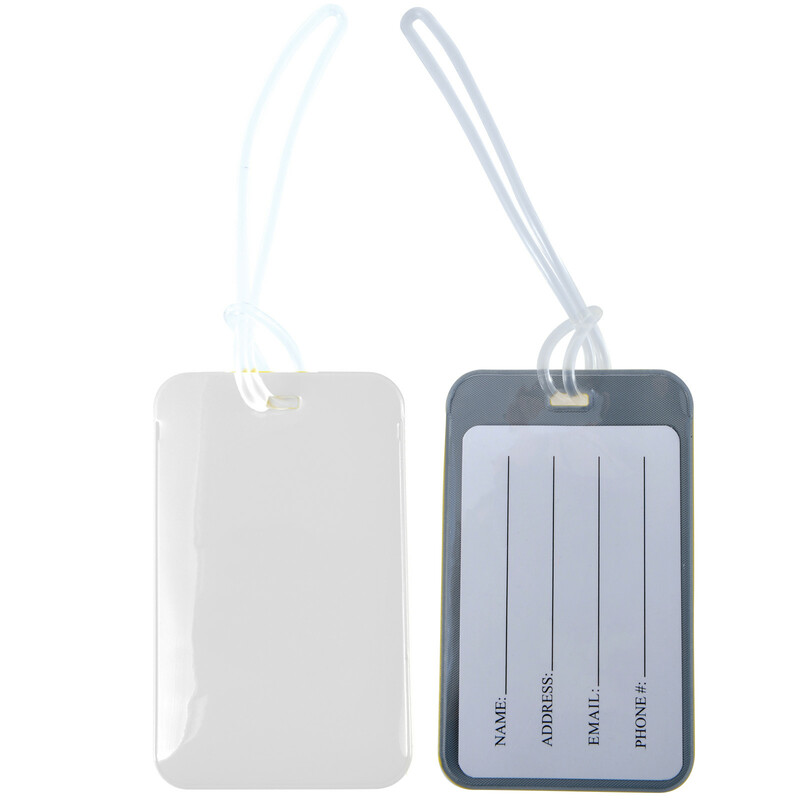 They contain a printed address label insert on the back under the clear PVC panel. 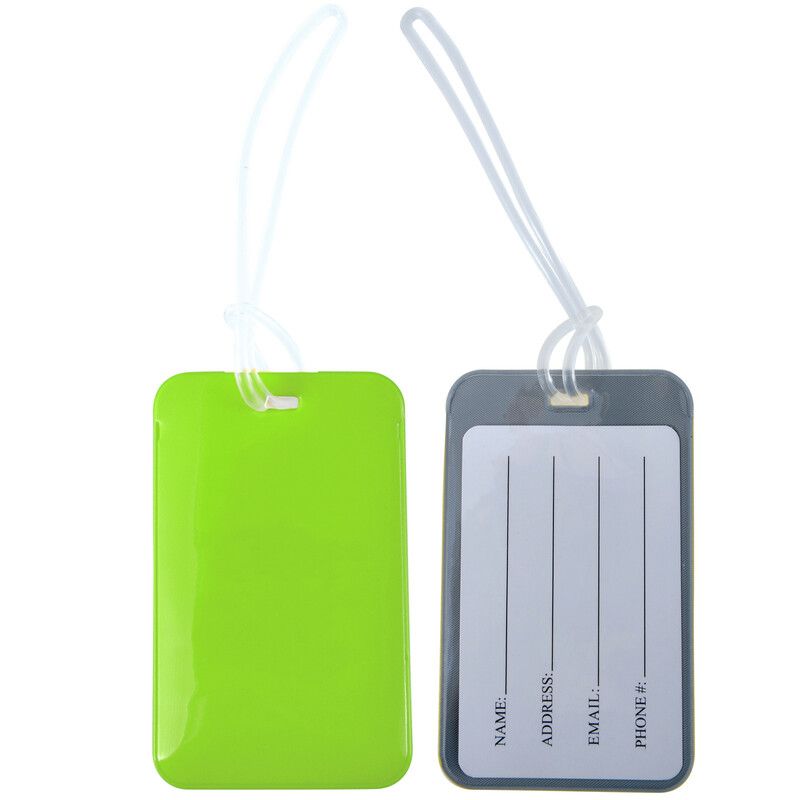 Features an eye-catching coloured front with a grey back.